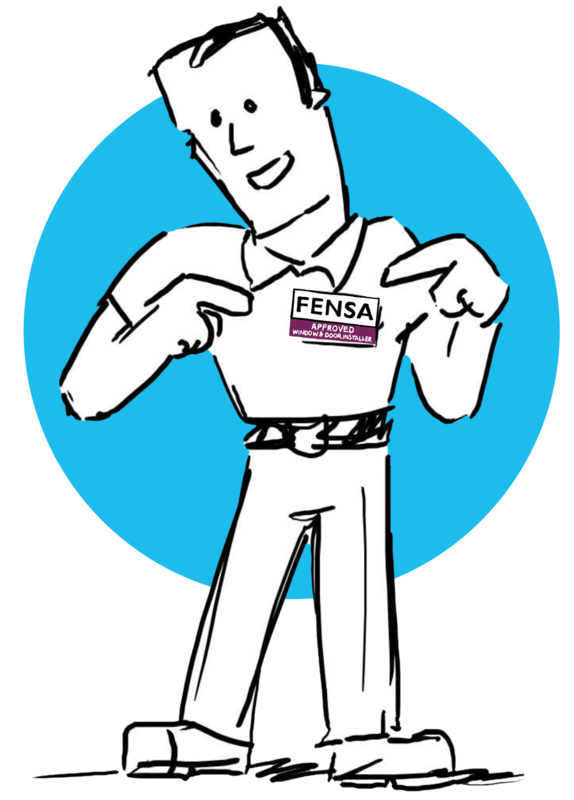 It’s a fact: becoming a FENSA Approved Installer helps you win more work, without having to discount your prices. Because by joining FENSA, you prove your professionalism and can reassure customers they’ll receive a FENSA certificate when the job’s done. Reassuring for them to know, and vital when selling their home. Boosting your business for less than you think. Joining FENSA costs less than you think, and saves you the time and hassle of registering your installations with the local council. The FENSA certificate is better known than any other, and our marketing support will help boost your business success. In addition to a one-off Application Fee of £200 when joining, your ongoing FENSA fees will be determined by the number of jobs your company completes each year. *Yearly Membership Fee in the year of joining FENSA is calculated on a pro rata basis. **Yearly assessment costs based on 100% assessment pass rate. For more information see the full FENSA Scheme Fees. The FENSA certificate confirms to your customers their window and door installations comply with building regulations (a legal requirement), are energy efficient, and registered with the local council. It also reassures them that your guarantee is insured. The certificate is issued by us once your job’s complete. Only FENSA Approved Installers can promise the FENSA certificate to their customers. Joining FENSA is straightforward, and you’ll be kept informed at every step so you know what to expect. Click the “Join Now” button at the top of this page and complete the form. Once submitted, we’ll contact you to answer any questions or just clarify the importance of being a FENSA Approved Installer. One of our assessors will meet you on a site and day of your choice. During this visit, we’ll have a professional discussion and assess your competency while you work. All evidence will be collected on this day, to minimise disruption. A review of the onsite assessment report and all documentation will be carried out by our technical and certification team. From here our certification decision is made. FENSA certificates cover replacement windows and doors made out of many materials and not only uPVC. A FENSA certificate is proof that an installation complies with building regulations. It is not a guarantee. The average FENSA Approved Installer doing 40 jobs a year would pay less than £450 in annual fees. This includes all assessments and job notifications. FENSA has issued more than 13 million certificates since 2002. That’s more than half the number of dwellings in England and Wales. Homeowners rate FENSA Approved Installers 4 out of 5 when asked about their overall experience. FENSA is the largest competency scheme within the UK glazing sector and most homeowners want a FENSA Approved Installer to replace their windows or doors – this means being with FENSA wins you jobs!